MERRY X-MAS YA BIG FILTHY’S!! 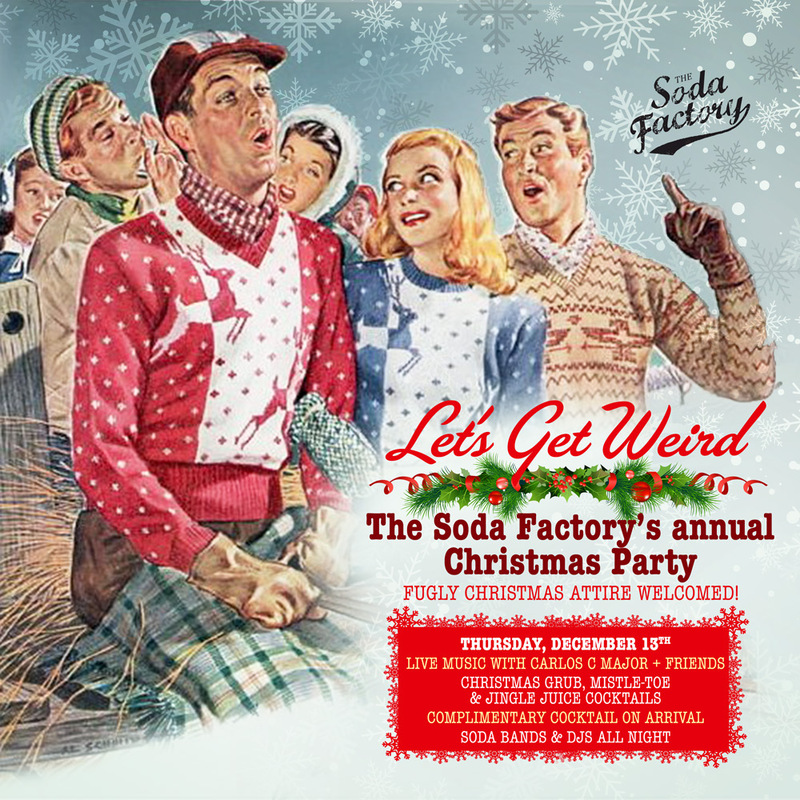 Save the date for Thursday, December 13th we are treating you a Good Ol’ Fashion Christmas Party at The Soda Factory! You can expect Christmas cocktails, canapés & of course LIVE music. From 5-7pm we’ll be greeting you with a complimentary cocktail & some famous American diner eats. Let’s celebrate a wonderful year. Watch out for the mistletoe. Because we love you guys and want to wish you all a Very Merry Christmas for such a great year! !